This incredibly tiny house was first constructed in the 16th century and was a functional home until 1900, occupied by a 6-foot 3-inch fisherman named Robert Jones. Robert was eventually forced to leave the premises when the council declared the house unfit for human habitation. Still owned by his descendants, Roberts female relatives have taken responsibility for the property, as his sons showed a lack of interest in the business. 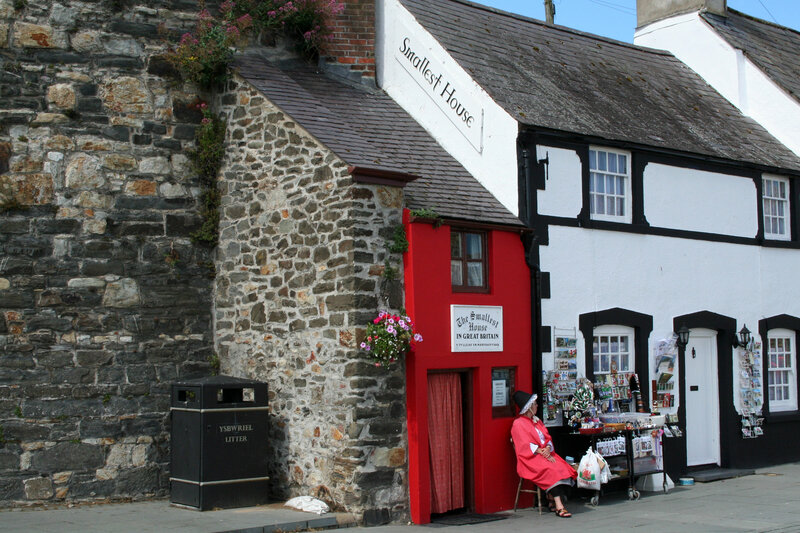 After some research and a tour of the United Kingdom by the then editor of the North Wales Weekly News, as well as the owner, Roger Dawson, the house was declared The Smallest House in Great Britain, which was confirmed by the Guinness Book of Records. Open from Spring to Autumn, a Welsh lady in traditional clothing will stand outside and inform you about the history of the house. The ground floor is a living space fitted with an open coal fireplace. Unfortunately, visitors are unable to venture upstairs due to structural instability but can view it from a step ladder.